INSIDE GREETING: Strike up the band for a tip-top birthday! 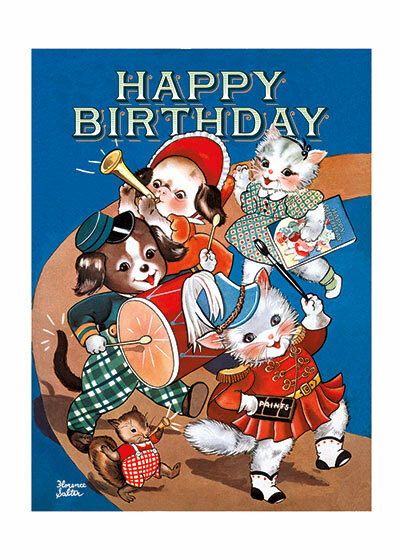 Festive birthday greetings are conveyed by a musical troupe of sweet animals in this image from a 1940's coloring book. Our notecards are custom printed at our location in Seattle, WA. They come bagged with an envelope. We love illustration art from old children's books and early, printed ephemera. These cards reflect this interest in bringing delightful art back to life.